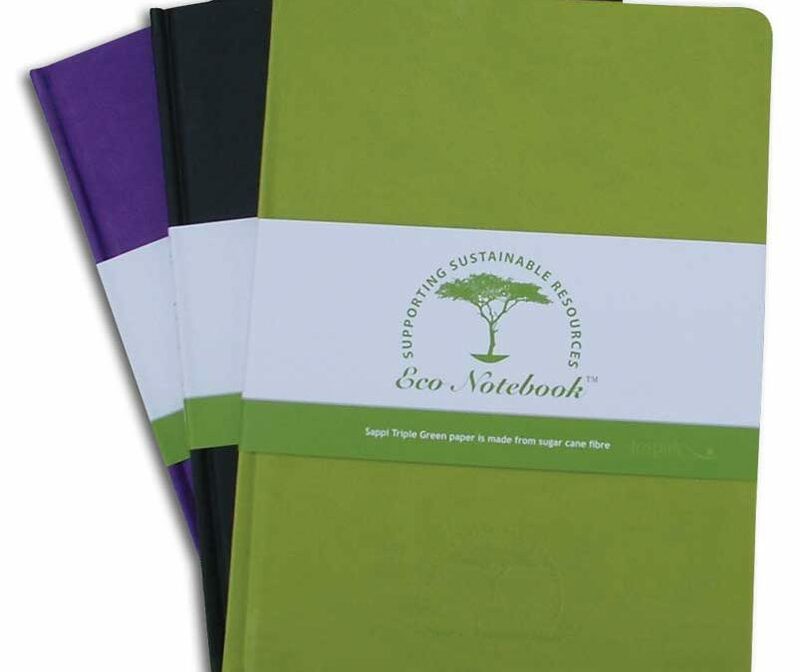 Vibrant range of colourful A5 Eco Friendly Notebooks with 192 lined pages, satin ribbon, elastic band and eco friendly Sappi Triple Green paper, proudly made in South Africa. Cover Colours available in Yellow, Blue, Orange, Black, Purple, Lime, Red and Pink. Available in soft or hard cover and in A5 or A4 size, made in South Africa.